On Monday 11th March we raised money for 3 charities related to Cambridge and the theme of 'Torn from Home' chosen for this year's Holocaust Memorial Day programme, of which our concert on 11th March was part of our programme of education work in Cambridge, delivered by Historyworks on behalf of Cambridge City Council. 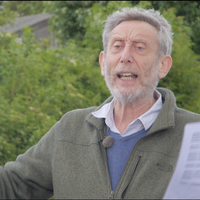 Historyworks commissioned new poems and songs from Michael Rosen and our composing team which were brilliantly performed by the KS1 and KS2 choirs at St Matthew's Primary directed by Mario Satchwell and the CAP Singers from Parkside, Trumpington, & Coleridge Community Colleges directed by Rebecca Lewis. The songs about Cambridge's History, such as 'Seahorses' and the 'Fitz Lions Round' have been taught to 14 primary schools in Singing Assemblies delivered by Helen and Mario from Historyworks, and it was great to see many children and their families from Cambridge Schools at the concert joining in! 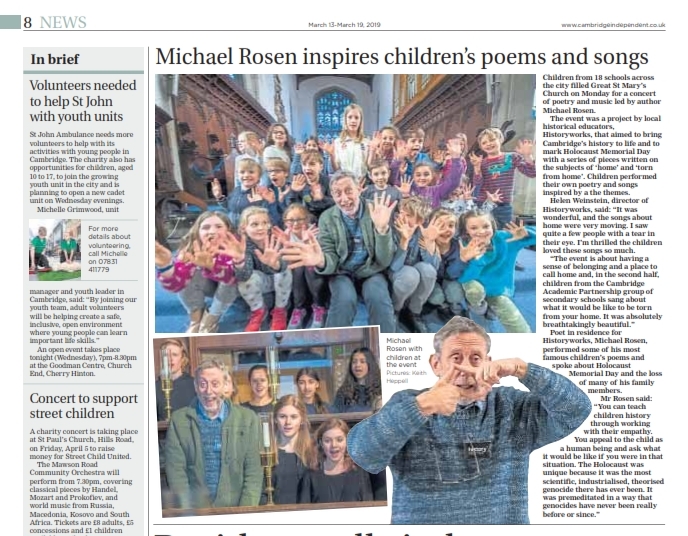 As a charity fundraiser, the causes were on the theme of 'Torn from Home' chosen by the young people in our project together with Helen Weinstein who told the singers about the charities. The audience was asked to make donations and to buy books from the Heffers bookstall and to talk to the representatives of the charity there befr and after the concert. We are very grateful to the 3 charities for helping out with stewarding and talking to everyone and we are hoping we will have raised £1,000+ for each charity. The 3 charities are CamCRAG (Cambridge Convoy Refugee Action Group), and Jimmy's (Homeless Shelter in Cambridge), and SCU (Street Child United). The young people wanted to make a difference in helping refugees and those without a home living in unsafe places, both street children overseas, and the homeless closer to home who need our support in Cambridge itself. It is estimated that there are 150 million children living and working on the streets worldwide. These children are ignored, vulnerable to abuse, and routinely denied their basic rights. In particular, they struggle to gain legal identity, protection from violence and abuse, and access to education. Street Child United uses the power of sport to provide a global platform for street-connected young people to be seen and their voices heard, so they can receive the protection, support and opportunities that every child is entitled to. The young people also have the opportunity to participate in a festival of the arts and a congress for their rights. The charity works with outstanding NGO projects in a range of countries which means that the young people they work with continue to receive support following their events, and are nurtured to become ambassadors for other street-connected children in their areas. The events are covered by local and international press, thereby amplifying the young people’s voices, which has in some cases led to real change occurring within participating nations’ governments. With the world looking to England and Wales in 2019 for the ICC Cricket World Cup, the charity is organising their first ever Street Child Cricket World Cup right here in England. In fact, it will be right here in Cambridge! Ten teams of street-connected 14-17 year-olds will be playing the group stages at Parker’s Piece and the final at Lord’s Cricket Ground in London this May. Both events will be covered by BBC Radio Cambridgeshire. 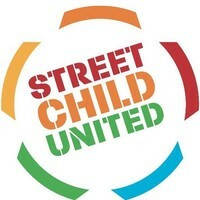 This is a once-in-a-lifetime opportunity to get involved with the work of Street Child United right on your doorstep! The Parker’s Piece trials will be a free event on Saturday 4th and Sunday 5th May. Each day will see 20 matches played across 2 pitches, with 10 teams from countries across the world competing. The teams are all mixed, with equal participation between girls and boys. There will be food and drink for sale, performances, cricket-related games to play, and the opportunity to listen to the experiences of street-connected young people across the world. The idea for the charity was actually born right here in Cambridge. Its founder John Wroe had observed the rounding-up of street children in South Africa to make way for the World Cup. Speaking about this experience in an assembly in Cambridge, a young girl asked him, ‘How come these children don’t get a world cup? !’ This seemed ridiculous: most of these children don’t even have passports. But it gave John the idea for Street Child United. In order to harness the power of pupils in Cambridge to support the Street Child Cricket World Cup, they have recently appointed their first Education Coordinator, Laura Scott. Laura is here tonight so please do catch her if you have links with schools across Cambridge and London – she would love to hear from you. Thank you! One thing we are asked constantly at Jimmy’s is “How do I help homeless people”. After a pause and some reflection, my standard reply is don’t call them homeless. Once the homeless tag is associated with individuals, often stereotypes arise and it is difficult to remove myth from truth, and though it is sometimes difficult to see past the mask of homelessness, it is what we do on a daily basis. Since 1995 Jimmy’s has been providing for the homeless in Cambridge. Today we’re supported by the local Cambridge Community and Volunteers to deliver 24/7 emergency accommodation and supported housing for those who would otherwise be homeless or vulnerably housed. In the last year we have worked with over 400 different people in helping them address life inhibiting addictions/issues, engage in meaningful activities and have helped over 75% of them resettle into more sustainable accommodation leading them towards an independent lifestyle. In order to reach the person, we first need to understand the places they have been. At Jimmy’s we do not and cannot seek to change the past, but we do help to shape the future. Whatever someone’s past we do not sit in judgement. To err is human, forgiveness is divine and individuals we help often try to forgive themselves for their past. They may have chosen the wrong path in the past and strayed from their intended life but it doesn’t have to dominate and influence where they go. So what do we fundamentally do. Well we support individuals through choices that they make. Some are not always the best of choices, but most are chosen with best intent and a desire to change and move forward. At Jimmy’s we engage and discuss courses of actions people have chosen, counsel on the less successful ventures and encourage toward a more stable pathway to the future. Some do have an Epiphany, some take longer for the fog to clear. But with small steps such advances made can seem vast, especially when coming in from a period on the streets. So with support, kindness, boundaries, faith and no end of tea we seek to find the elements that drive our guests forward. Harness that belief and strengthen resolve to build a stable and solid foundation from which a new life or way of life can begin. So how do we get results ? Well we measure success in varying ways. One less drink, one less hit, one less disappointment, it is in these small steps that success if forged and sustained. We are not in the miracles business, but overall and with time we do produce some quite remarkable results. To those who collect and donate for us, you allow us to continue, you allow us to invest in individuals who slip through several nets, you quite simply help us to save lives. Thank you for thinking of Jimmy’s. Calais is a small town on the French coast, linked to the United Kingdom by ferries crossing the channel and a tunnel over 31 miles long under choppy waters of the channel. It’s the gateway to the United Kingdom, the point where a traveller walking across Europe first meets the border of our country. Right now around and near Calais there are around 1000 people, refugees, sleeping rough. They are harassed by the police, their tents (if they have them) destroyed every few days, clothing taken and little access to water or toilets. They are there because they want to ask us, the United Kingdom, for asylum, for safety. But rather than a gateway they find walls and fences and barbed wire. The people in Calais, many of them teenagers, have walked hundreds of miles and crossed hostile lands and dangerous seas before finally ending at our border, hoping to come to the UK. Why the UK? For many it is because they have family here, for many it because they speak English and want to start a new life, to work. Some have heard that police are not violent in the UK, some have heard that we are kinder than the nations they’ve walked through. Whatever the reason, they all stem from one belief; that they will be safe here, welcomed and treated fairly and with dignity. Although the refugees in Calais are kept off British soil and therefore prevented from applying for asylum here, there are volunteers from the United Kingdom, and France, and many other countries, who are still in Calais now, providing good healthy food, decent clothing, sleeping bags, tents and even firewood to keep people alive and give them as much dignity as possible, in place of the welcome that they should expect here. Since summer 2015, Cambridge Convoy Refugee Action Group has organised regular weekend convoys of volunteers and donations to the warehouse in Calais run by Help Refugees. CamCRAG volunteers sort clothes, repair tents, prepare food, chop firewood, and distribute aid directly to refugees. In the Cambridge area, volunteers run donation drop off days, organise fundraising events like the Big Cambridge Calais Sleep Out, turn blankets into ponchos, salvage camping supplies from festivals, speak at churches, schools and civic events, lead workshops, invent new tent designs, collect money at concerts, fairs and events, host film showings, create databases and websites, distribute flyers and posters and spread awareness among their friends and family. All the money they raise goes towards providing aid or supporting convoys. Entirely run by volunteers, with no employees, CamCRAG is part of a massive grassroots movement of people providing practical humanitarian aid to refugees. Volunteers range from teenagers to retired people and prove that you don’t need any qualifications or permission to make a difference. Please talk to the CamCRAG volunteers here today, donate, buy ponchos, volunteer or just find out more and tell other people that refugees still need our help.